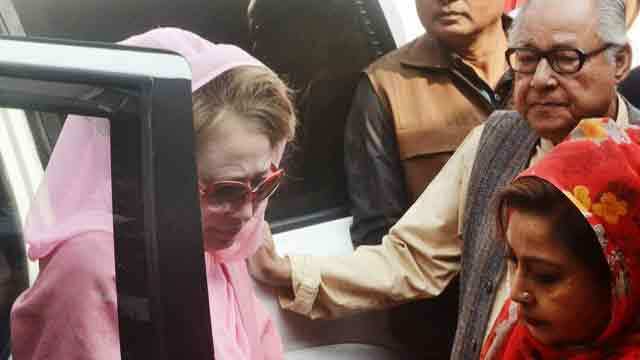 Dhaka, Feb 27 (Just News): Eminent Jurist Kamal Hossain today said that he would provide legal advice to the defence counsel of BNP Chairperson Begum Khaleda Zia for her bail. “They (BNP) gave me the copy of the judgment. I will go through it first and will give legal advice,” Kamal, also Gono Forum president said. Earlier in the day, a delegation of BNP led by its Secretary General Mirza Fakhrul Islam Alamgir met Kamal at his chamber in Motijheel area and sought his legal support in Zia Orphanage Trust case. Khaleda Zia, who landed in jail on February 8 upon conviction in the case, has been waiting in jail to know the fate of her bail petition. The High Court did not pass any order after concluding hearing on her bail petition. The HC said it will deliver an order on her bail prayer after getting the case records from the lower court that sentenced her to five years' imprisonment in the Zia Orphanage case.